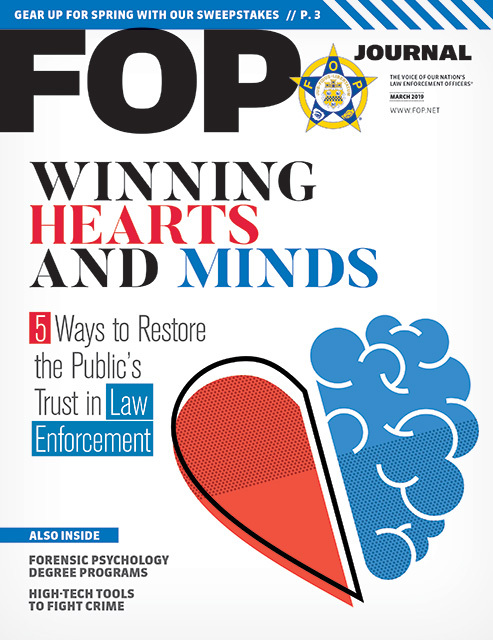 From individual agency reporting to large studies conducted by forensic psychology researchers, evidence indicates law enforcement professionals (LEPs) oftentimes are the first responders to mental health incidents, whether identified as an emotional crisis or simply as an element of a possible criminal situation. We asked the following FOP members why having an understanding of the psychological aspects of human nature, especially in stressful circumstances, is as important to success on the job as comprehension of statutes and well-practiced tactical maneuvers. 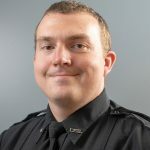 MATT JONES graduated with a master of arts in forensic psychology from the University of North Dakota in 2018. 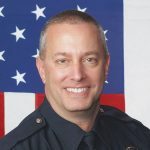 He is a detective in the Tempe (Arizona) Police Department’s Homicide Unit and a member of FOP Tempe Lodge #11. DANNY POTTS graduated with dual majors in criminal justice and psychology from Eastern Kentucky University in 2013. 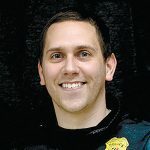 He is a police officer with the Independence (Kentucky) Police Department and a member of the Kentucky State FOP Independence Lodge #75. JUSTIN SAFFAR graduated with a master of arts in forensic psychology from George Washington University in 2017. He is a police officer with the Montgomery County (Maryland) Police Department and a member of the FOP Lodge #35. How can an understanding of forensic psychology help LEPs on duty, whether they’re assigned to patrol or other units? POTTS: We need more officers with psychology backgrounds. It can assist them to properly inform family members and medical professionals when bringing in someone with a mental illness or who may possibly be abusing substances that are contrary to their prescriptions. SAFFAR: When you’re talking to someone who has been schizophrenic their whole life, you know what medications they’re talking about and the symptoms. You can connect with them better. It comes down to understanding people and where they’re coming from and seeing them as unique individuals. What did you find interesting about the coursework at your university? Did you have a favorite class or subject? POTTS: Forensic psychology was definitely my favorite. It delved deep into criminal justice and psychology. It talked about mental illness in criminal justice [and how it] plays a part in the court system. SAFFAR: One of the introductory courses was psychology and the law. Before, I didn’t really understand why a case couldn’t go forward because of [the person’s] mental health status. Now I understand where it comes from and why lawyers are doing what they’re doing. JONES: Diversity and the law was a class I didn’t think I would enjoy, but it turned out to be my favorite. It talked about adverse populations for discrimination I never thought of or considered, such as the lesbian and transgender community, and how the population is discriminated against in psychology [and criminal justice]. Have you been able to apply the theories and coursework to the job? SAFFAR: Absolutely. It’s helped throughout my career. I was interested in the crisis negotiation team, and forensic psychology is much of what they do. When we go to do a mental health evaluation and decide when someone should have the hospital involved, I volunteer to write the petitions because I enjoy that. JONES: It has impacted my job a lot in terms of dealing with eyewitness identification procedures and how I listen to statements of individuals involved. I better understand how memory works. Just because a person can’t remember all the details, it doesn’t mean they’re lying. Would you consider returning to school for another advanced degree in forensic psychology? JONES: The more I network with researchers, [the more] I’m drawn into how much I enjoy research. I’m considering going for my Ph.D.
SAFFAR: I may consider a Ph.D. A lot of supervisors and upper management in my department have degrees in higher education, and it’s a competitive process. Having my masters will help if I lean toward management. I’m also interested in becoming a homicide detective, which involves psychology. POTTS: I will probably get an advanced degree. I’m lucky that my department has a continuing education program. Last year, they sent me to a crisis intervention training conference to learn more about how to talk to and document people in crisis. They’re sending me to a class this year because I expressed an interest. That not only benefits me, but it benefits the department, too. What advice would you offer LEPs considering a degree in forensic psychology? How can they evaluate different institutions and programs? JONES: Make sure the curriculum has classes in the area you want to study. Also, look at the background of instructors. Are they experienced? Have they done research in the classes they’re teaching? POTTS: Look for the freedom to integrate criminal justice ideas or situations into psychology classes, papers and essays. I was given a lot of freedom because my professors understood I wanted to be a police officer. SAFFAR: The most helpful thing for me was speaking with the department chair. I explained my career goals and ambitions, and I knew within an hour that it was the right program for me.